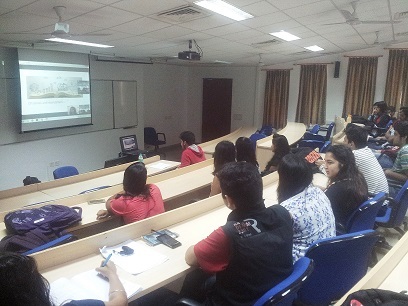 As a part of the Industry Interaction for the Public Relations Course for IPM 2014-19 Batch at IIM Indore, a Skype session was conducted on August 20, 2016, in which Ms. Vinie Alex, Head, Integrated Brand Communication and Experiences, Times of India; interacted with the students. She gave an interesting insight into the storytelling technique that brands have started narrating to capture the attention of their audience. It was an enriching experience for students to get a first person account from Ms. Alex, who has been involved in creating some of the well-known brands during her advertising career as well as in her role in the media space. The session’s objective was to highlight the role of technology in classrooms and bring in innovation in teaching methods. 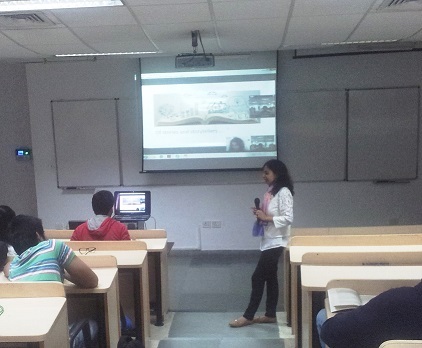 Bringing experts from different locations virtually to the classrooms not only helps the students to interact with them, but also makes them aware about the new trends in the industry. 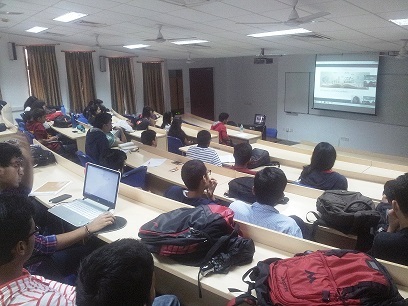 The session was facilitated by Professor Deepti Ganapathy. Some other professionals who would be interacting with the students would be Mr. Narahari K.S., Senior Consultant, The Practise, Former Director, Corporate Communications- Dell & Texas Instruments; Mr. Pravin Shiriyannavar, Head- Public Relations, Bengaluru & Kolkata, Brand-Com; Mr. Arun Chitnis, Head – Corporate Communications & Media Relations, Jones Lang LaSalle, India.